O.J. Simpson was granted parole at his Nevada DOC hearing yesterday. He has to stay in custody until October, and will continue to be supervised when he’s released. Regular readers of this blog were not surprised at the result, as I’ve stated for months that he was likely to be granted parole, based on his past track record. The next big question is where he’s going to go, with some friends speculating he may move here to Southwest Florida. He was a Florida resident for years prior to being incarcerated, as Florida provides homestead protection so it’s difficult to take someone’s house away, for instance when they have a large civil judgment against them, as O.J. does for the civil suit finding him responsible for the deaths of Nicole Simpson and Ron Goldman. Tomorrow the State of Nevada will hold a parole hearing for O.J. Simpson, who’s been incarcerated there since he was convicted of an armed robbery in Las Vegas in 2008. He was previously granted parole on some other charges, but the more serious charges were not eligible until this year. Since he was successful at the last hearing, there is a good chance he will be granted parole this time, which should allow his release in October. He’s apparently even telling friends that he feels good about his chances. Interstingly, even the victims support his release. One of them already passed away, but his family indicates that the would have supported his release, and the surviving victim indicates he has forgiven Simpson and feels he’s served enough time. In a crazy anecdote, a former prison guard recounts that OJ nearly got written up for an illicit cookie, which could have derailed his parole chances. O.J. Simpson was granted parole today for some of the convictions related to a robbery in Nevada. He was ordered to serve several sentences consecutively, and the parole granted on these charges means that he begins serving the time on the consecutive sentences. He will have to be behind bars for another four years before realistically having a chance to be released from custody on parole. Today’s decision by the parole board was a first step, which was apparently appropriate as Simpson has been a model inmate, and due to his murder acquittal, is technically a first-time offender. Florida readers may wonder why we don’t often hear about parole hearings. That’s due to a change in Florida law that essentially did away with parole. In Florida, convicts sentenced to prison must serve 85% of their sentence, with no opportunity for parole. They may get supervised release for the balance of their sentence, which is similar to parole. Every now and again a parole hearing will happen for a Florida inmate who has been incarcerated since before the change in the law, but otherwise, Florida’s sentencing is very harsh. Beyond that, many mandatory sentences are day-for-day, that is, there is no gain time. That includes 10-20-Life cases like that of Marissa Alexander. OJ Simpson’s former attorney, Yale Galanter, was called to the stand today. 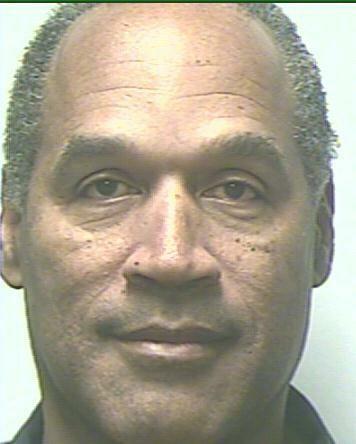 He has contradicted OJ’s testimony that he had ok’d the hotel room plan to recover the property. That means much of the motion will be a battle of credibility between OJ, the convicted felon, and his experienced and respected attorney. I would not be surprised if the judge does not rule immediately at the close of the hearing, but OJ’s chances at getting a new trial remain a long shot.